(Isaiah 53:3-5) He is despised and rejected by men, a Man of sorrows and acquainted with grief. And we hid, as it were, our faces from Him; He was despised, and we did not esteem Him. Surely He has borne our griefs and carried our sorrows; Yet we esteemed Him stricken, smitten by God, and afflicted. But He was wounded for our transgressions, He was bruised for our iniquities; The chastisement for our peace was upon Him and by His wounds we are healed. Today while in prayer, I was led to this passage of scripture by the Holy Spirit. This was in relation to a confession I made to God. This confession was not concerning some secret sin, or scandalous and tempting thought, but rather of pain, which I did not realize had been building below the surface of my life (for a while). The pain is a result of my sincere love for Jesus. I write this not as a boast, for how can I love Christ at all, lest He reveal his love to me, through the cross (Romans 5:8). This love created an intense desire to make Him known to my family, friends, neighbors, community, as well as those in the churches, I have been privileged to minister to over the years. I suspect that whether you are a congregation member or minister, in either a lay or vocational capacity, your love for Jesus has ticked off more than a couple of people, within your sphere of influence. It is quite possible that you have been misunderstood, maligned, and mocked by those you love; even ostracized by family or community to the point of physical or emotional pain. For readers who live in areas of open persecution, this is all too real (know we pray for you and are encouraged by your walk of faith). In any case, if you endeavor to love Jesus with all your heart, at times… YOU HURT! Sure we all want to declare “What people think about me does not matter!”, but realistically, if you are a member of the redeemed of the Lord, you do care. I do not believe the reason we care is wholly selfish, for to be rejected by anyone hurts. Yet to be rejected by those you desire to share the message of Jesus Christ with, the message that will change their life for the better now and forever, hurts even more. 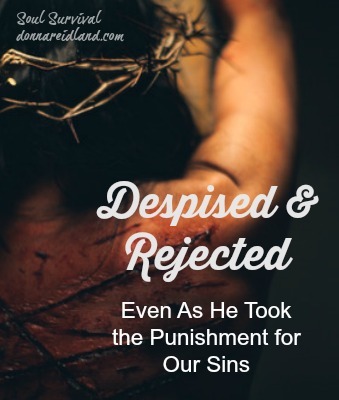 We must recognize that not only is the hurt from personal rejection, but from our Jesus being rejected, therefore it is hurt coming right from Christ’s heart. (Isaiah 53:3) He is despised and rejected by men, a Man of sorrows and acquainted with grief. And we hid, as it were, our faces from Him; He was despised, and we did not esteem Him. As we can see from Isaiah 53:3, Jesus felt the sting of sorrow and hurt from being rejected by the world, His nation and religion and even His family. We see this truth reiterated in John 1:10-11, where we read “He was in the world, and the world was made through Him, and the world did not know Him. 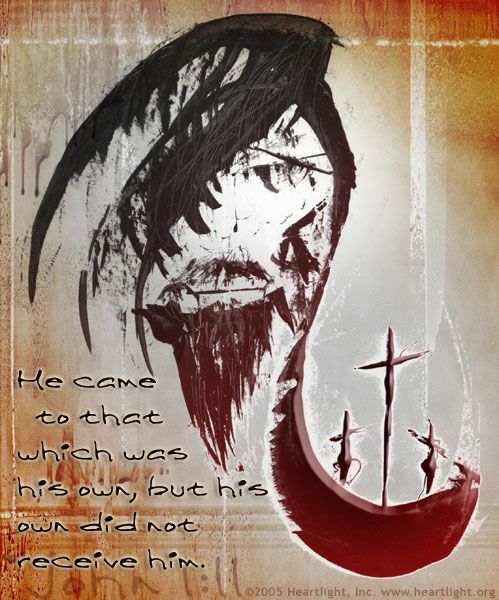 He came to His own, and His own did not receive Him”. Later on in John 7:5 we see that our Lord’s own brothers, those He grew up with, did not believe in Him. The Gospel of Mark 3:20-35 reveals a cohort of family and friends who believed He was out of His mind. We have little difficulty understanding that Jesus could feel the pain of the cross. What we often forget is the mental and emotion pain he endured as well, being rejected and cast out. Consider John 11, where Jesus wept at the grave of Lazarus. The pain which caused His weeping was not over the death of His friend. Jesus knew four days earlier that His friend would die and that He would raise Him from the grave (John 11:1-14). So why did our Savior weep? Because of the unbelief of Lazarus’ sisters. Weeping is brought on by real emotional hurt. Sweating blood is also brought on by real emotional pain. Have you ever felt the overwhelming emotional despair of having to deal with consequences for simply living your life to serve God? Jesus understands, for He suffered it before you. Have you ever felt the emotional pain of being despised and rejected by those you love and desire to reach with the message of Christ? Jesus understands, He suffered it before you! Have you ever felt the sting of physical pain or the emotional stress of deprivation of true material needs, because you have taken a stand for your faith? Jesus understands, He suffered it before you! (Isaiah 53:4-5) Surely He has borne our griefs and carried our sorrows; Yet we esteemed Him stricken, smitten by God, and afflicted. But He was wounded for our transgressions, He was bruised for our iniquities; The chastisement for our peace was upon Him and by His wounds we are healed. Isaiah 53:4 is a prophetic scripture that was to be a land mark for the Jewish people, that Jesus was the Messiah, as it is quoted in Matthew 8:16-17. In addition to the initial fulfillment of what Isaiah declared by the Spirit concerning Christ, Isaiah 53:4 finds its ultimate fulfillment after the cross, in those who have come to Christ through faith. Let us remember that in his body on the tree, Jesus bore our sins and sorrows from physical and emotion brokenness (both are the result of Adam’s sin). Most Christians would agree that Jesus provided for the healing of the body in his atoning death on the cross. 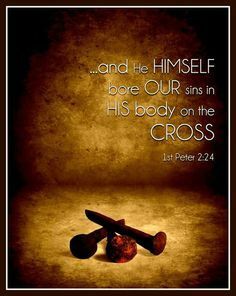 I Peter 2:24 declares “who Himself bore our sins in his own body on the tree, that we who have died to sins, might live for righteousness–by whose stripes you were healed“. This of course begins in the here and now, as we are renewed inwardly day by day, which ought to affect our physical and emotional health; it is part of the process of sanctification (I Thessalonians 5:23). One day we will experience the fullness of this verse as we are with Christ forever, having been transformed and glorified in Christ. Until that time, we will continue to experience hurt on behalf of our Savior. This is what I was confessing in my time of prayer. Sadly, for a while, maybe like you, I tried to convince myself I was beyond pain affecting me. Perhaps like me, you decided “I’m good, I’ve got Jesus, I can handle it”. But the only way sorrows and griefs can be handled for our benefit, is by confessing to our Savior, “I Hurt”. Note I did not say, confessing to a friend, although that may help for a little while. Just remember, they may understand, but they did not bare your “griefs” and carry your “sorrows“. Let me encourage you, dear friends, Let the “HEALER” heal your “HURT”. Be encouraged, not only is their healing for the soul trampled for the sake of Jesus Christ, it is also the pathway of the greatest blessing in the universe. (Philippians 3:10) that I may know Him and the power of His resurrection, and the fellowship of His sufferings, being conformed to His death, if, by any means, I may attain to the resurrection from the dead. This entry was posted in Isaiah 53:3-5, Philippians 3:10, The Hurt and the Healer, Uncategorized. Bookmark the permalink. He came in the flesh and felt our distress. It frustrated me to hear someone say she didn’t think Jesus suffered physical pain upon the cross. But that’s a big part of the gospel message. We need to always remember what He did for us.